Here’s Why You Should Be Growing Mint! There is nothing like the fresh scent of mint. The foliage not only smells fantastic, but it also looks great in your garden or in pots on your porch or deck. If you love the smell and flavor of fresh mint, that should be reason alone to grow it. But here are several more reasons why mint should be part of your gardening plans. 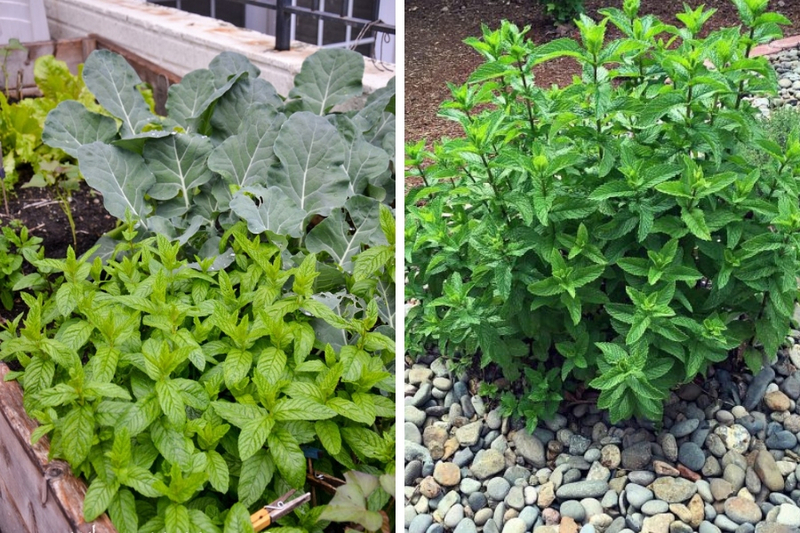 If you have a rocky spot or an herb garden where you can contain it, mint should do fantastic there. It will eventually spread, but it doesn’t do it quickly; so with some care you should be able to keep it in check. Still, it’s a good idea to put it in a spot where you don’t mind the spreading, or an area that gets neglected and needs some green. You could even make it a rule to harvest any off-shoots you don’t want in the ground. Mint doesn’t send its shoots very deep, so if you put it in a raised bed herb garden, you don’t need to worry too much about its tendency to spread. Plant it with other strong perennials like oregano, sage, thyme, and rosemary, as they should be able to tolerate it’s aggressiveness — especially if they’re well established. If you’ve got a shady area where most plants don’t don’t feel at home, try planting some mint there. It does great in full sun, but will also tolerate shade. Unlike healthy relationships, healthy mint can stand a lot of neglect. In fact, you can leave it alone, let it do its thing, and then come and take from it as much as you want. It won’t even complain. Even if you don’t water it or give it fertilizer, it’ll be just fine. Just keep its strong-willed nature in mind when deciding where to plant it. If you’re lazy and don’t mind it filling in, go ahead and leave it to its own devices. Mint not only smells great, but its scent attracts beneficial insects and scares away the ones you probably don’t want. It’ll bring in bees, hoverflies (which eat aphids), and more. But it’ll repel cabbage moths, aphids, ants, houseflies, mosquitoes, fleas, and even mice. What’s more, it’s healthy for animals. If you have chickens, it’ll help keep parasites away. If they like the flavor (which most do), it’s great for their digestion (for dogs and cats, too). If you love to cook, you should be growing mint. Aside from using it in fresh summer recipes, try making your own mint tea. It’s also great for pesto, sauces, and jams.